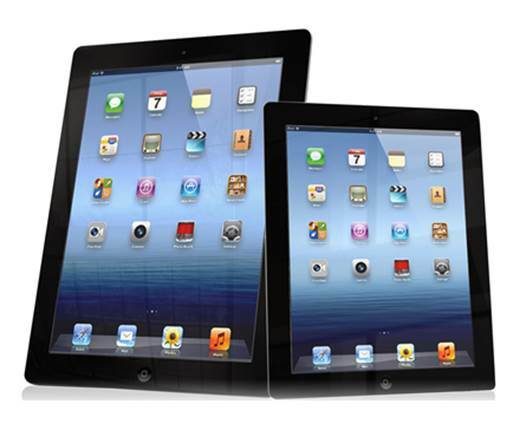 Apple’s iPad Mini may not boast the Retina display that graces the 9.7” iPad, but it is nonetheless a worthy contender. While its specs may more closely resemble the ancient-in-Apple’s-terms iPad 2, with its 1024 x 768 resolution and A5 CPU, the 7.9” size makes it more travel friendly that the larger iPads. Furthermore, the screen has been made the focus of the device, thanks to a trimming of the side bezel. However, its real strength is the fact that it too is backed up by the same army of apps that account for the other iPads’ popularity, making it a formidable portable tablet in its own right. RRP: From $365. 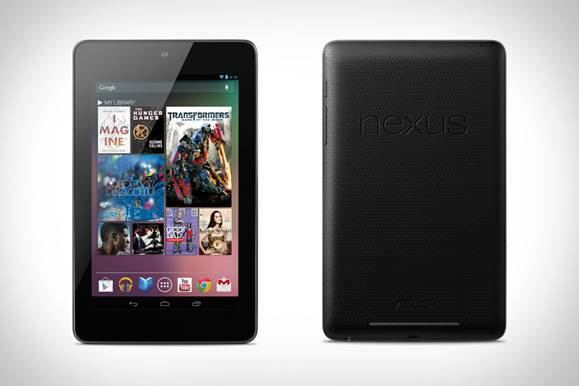 Easily a budget darling, the Google’s Nexus 7 (manufactured by Asus) does not look, feel or perform as though it is a cheapie alternative. While it can be picked up for $304, Google’s effort is a fast and responsive masterpiece thanks to its Nvidia Tegra 3 quad-core processor (at 1 .3 G-Hz), 1 GB of memory and stock Android Jelly Bean 4.2.2. The latest version has not only bumped up its storage capacity to 32 GB, it has also received the 3G cellular treatment as well. The Nexus 7’s LED backlit IPS screen, which offers a resolution of 1280 x 800 (216 ppi), is still more than adequate for reading eBooks, playing games and web-browsing, all encased in a solid product that feels closer to a premium device in the hand rather than a budget offering. RRP: $304. 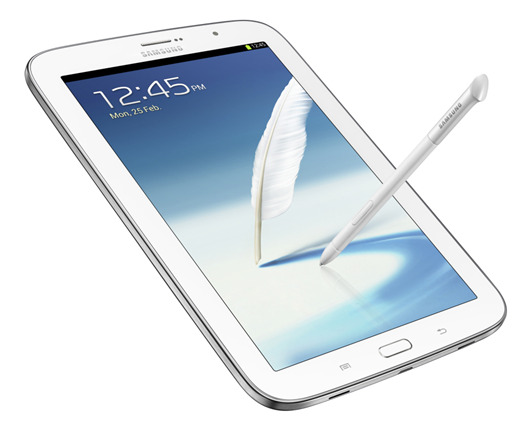 The largest tablet on this list and billed as the creative ’s companion, at 8”, the Galaxy Note 8 also packs something the others do not - a dedicated S Pen stylus, which makes drawing and writing on the device a pleasure. Factor in a spacious screen with a 1280 x 800 resolution (189 ppi), a 1.6 G-Hz A9 quad-core processor, 2 GB of memory powering superb performance, and a microSD card slot for expandable storage, and you have a real contender. Add to this some genuinely useful features, such as the ability to open two apps side by side, and Reading mode, which offers softer side lighting, and you have a tablet that should not be overlooked. It’s the most expensive going for R7 200. 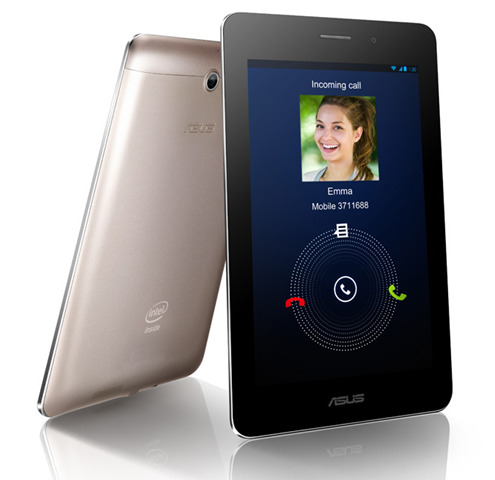 The second seven-incher on this list, Asus’ FonePad similarly boasts superb quality build, Android Jelly Bean and an affordable $304 price tag. It also differs in some important ways. Rather than a Tegra 3 processor, the device sports Intel’s Atom Z Series SoC and 1 GB of memory which left us with no complaints with regards to its performance. Also to its credit, a microSD card slot to expand its storage is onboard. Additionally, it is possible to use the device as a voice-supporting smartphone if that takes your fancy. Rounding it off was a glossy and contrasty screen with a familiar 1280 x 800 HD (216 ppi) resolution, while echoes of being a somewhat smaller version of the excellent Transformer Prime, secured it a place on our list. RRP: $304.